2012 was a great year for young quarterbacks in the National Football League. Andrew Luck went from first overall draft pick to a playoff performer for the Indianapolis Colts. Learn more about this young gunslinger, including his football family and his love of soccer! 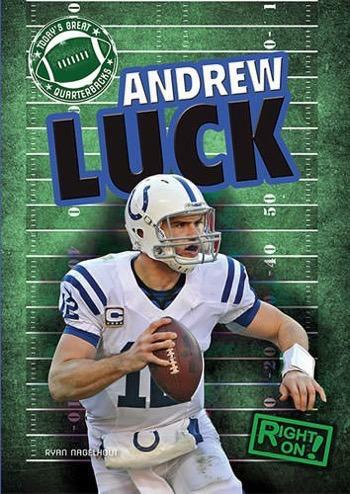 With accessible text and a timeline of events in Luck's life, follow the story of this NFL superstar with this book.